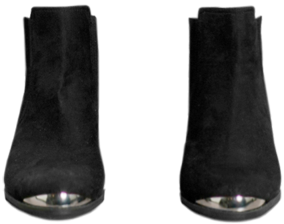 Ankle boots in imitation suede with a metal detail at the front and a covered elastic gore at the side. Rubber soles. 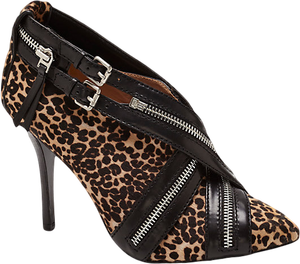 Heel 5.5 cm.